Panruti is a town and a municipality and taluk headquarter in Cuddalore district in the Indian state of Tamil Nadu. Panruti lies between Cuddalore and Villupuram . PANRUTI Panchayat was established as Town Panjayat in 1886 . 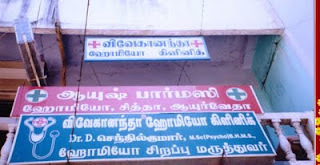 Panruti Town Panjayath was established as Panruti Municipal with the inclusion of Thiruvathigai Town Panjayat then 3rd Grade Panruti Municipality was established by the inclution of the following hamlet villages as per G.O Order No 2117 Dated 1.10.1966 by Tamil Nadu Govt. The villages are as follows. Total Area of this Municipality is 18.03 Sq.Km . 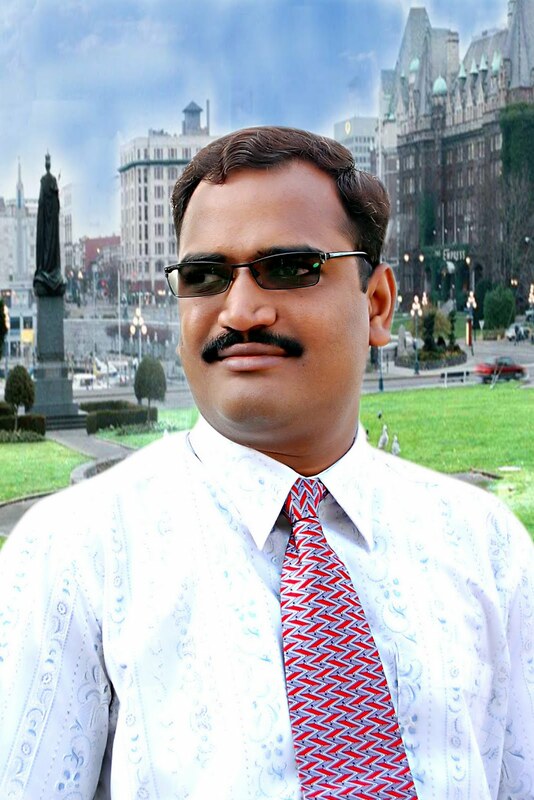 From 1969 onwards the Municipal Election are being conducted as per Tamil Nadu Government Rules. As per Municipal Administration and Water Supply Department Order No 133 Dated 6.6.96 the strength of municipal councilors was increased from 24 to 33 due to the population increases as per the census in 1971. By Rail : The nearest railway station is facilitated with this town Panruti . By Road : Regular bus services are available from all major towns of Tamilnadu. Chennai, Cuddalore ,Villupuram, Neyveli , Tiruvannamali and Chidambaram. 126,Chennai Salai, Near Railway Gate, Panruti. Panruti is located at 11.77°N 79.55°E. It has an average elevation of 32 metres (104 feet). The historical Kedilam River flows through the town. The name Panruti evolved from 'pannargal' (those who composed music and songs during the ancient and medieval period). The creators of various 'panns' were also titled as 'pannar'. Panruti produces cashews, jackfruit, and many vegetables. Panruti plays a major role in the cashew export business, exporting to Malaysia, Australia, Singapore, and the United States. It is known for its famous international jackfruit market, from where jackfruit is exported to many other countries and also to other places. 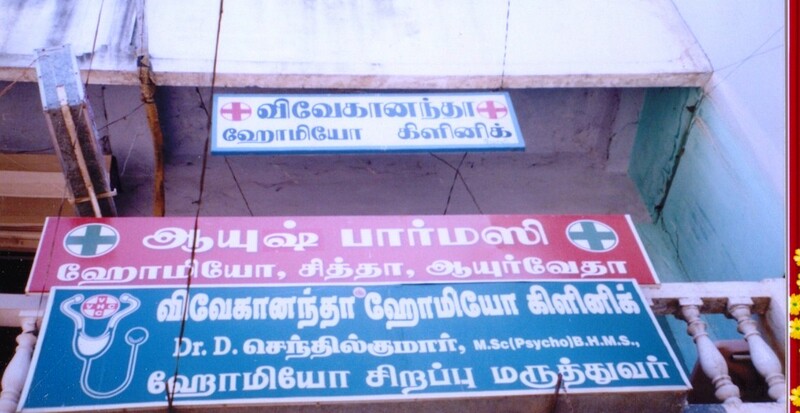 It is also a commercial center of Cuddalore district. People from all over Cuddalore district come to Panruti for purchasing groceries and fresh vegetables. The Neyveli Lignite Corporation is located 21 km from here. As of 2001 India census,Panruti had a population of 55,400. Males constitute 50% of the population and females 50%. Panruti has an average literacy rate of 69%, higher than the national average of 59.5%: male literacy is 76%, and female literacy is 62%. In Panruti, 12% of the population is under 6 years of age. 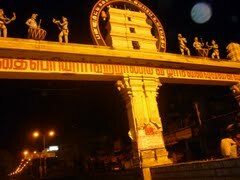 Thiruvadhigai Veerattaneswarar Temple is located in Thiruvathigai only 2 km from Panruti. This temple is an ancient and famous Shiva temple, where notable saints Thilakavathiyar, Thirunavukkarasar, and Arunagirinathar visited and wrote hymns on the Lord. 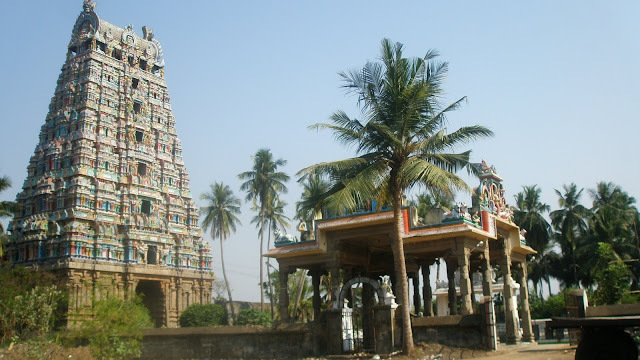 Panruti has a Vishnu temple, Sara Narayana Perumal, Aranganathar temple is one of the ancient temple located at river side of the thiruvadhigai. The Thiruvaheendirapuram-Devanatha perumal temple, one among the 108 dhivyadesam, is 15 kilometers away from Panruti. Other famous temples are Padaiveetamman temple,kaliyamman temple and Sri Selva Vinayagar Kovil. One of the famous mosque is located in the heart of the town at gandhi road, panruti. 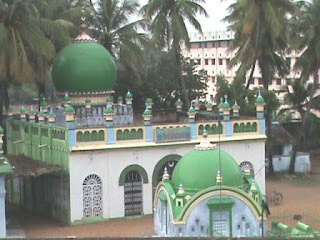 In this mosque locals celebrate Santhana Koodu fesival on a yearly basis. The festival is for 3 days. Ancient Church of Arcot lutheren is in Cuddlaore Road near union office ,It is one of the ancient church and now has been renovated as new Jerusalem ALC church. 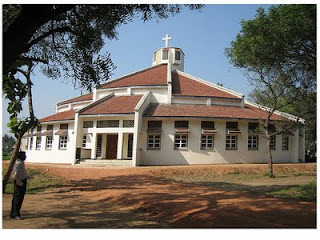 Two famous RC churches near panruti , are in panikankuppam and sathipatu villages. 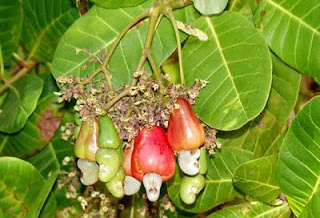 Panruti is the well known place for Jack fruits and Cashew nuts. A jack fruit is unusual in that it grows directly from the trunk of what is often a very large tree. The shell of the fruit is thick and hard, and the whole fruit is very heavy, like a small to medium-sized watermelon. Origin: The jackfruit is believed indigenous to the rain forests of the Western Ghats of India. Particularly South India. It spread early on to other parts of India, southeast Asia, the East Indies, Amazon River Delta, Territory of Jakarta, Myanmar, Thailand, Malaysia and ultimately the Philippines. It is often planted in central and eastern Africa and is fairly popular in Brazil and Surinam. Jack fruit is the largest tree-borne fruit in the world, reaching 80 pounds in weight and up to 36 inches long and 20 inches in diameter. The exterior of the compound fruit is green or yellow when ripe. The interior consists of large edible bulbs of yellow, banana-flavored flesh that encloses a smooth, oval, light-brown seed. The seed is 3/4 to 1-1/2 inches long and 1/2 to 3/4 inches thick and is white and crisp within. There may be 100 or up to 500 seeds in a single fruit, which are viable for no more than three or four days. When fully ripe, the unopened jackfruit emits a strong disagreeable odor, resembling that of decayed onions, while the pulp of the opened fruit smells of pineapple and banana. Each fruit (botanically, a multiple fruit formed of orchenes surrounded by fleshy periantha on a common receptacle) is usually oblong almost round, the green rind consisting of fleshy knobs. The fruit forms a very important article of food with the people, while some of the better classes also relish it, more especially the large albuminous, white seeds when cooked and served in curries.When ripe, the fruit usually has an overpowering odour, but this does not appear to be considered a drawback. The cream coloured or yellowish, soft, flaky pulp is eaten raw, boiled or fried, and used as a vegetable for curries etc. One of the largest fruit of nature’s creation. Jack Fruit Tree: A very large tree, native of India, Malaysia, Myanmar and other countries etc:, commonly cultivated and naturalized. The enormous fruits, some of which many weigh up to 70 lb. or more are borne on the trunk and older branches, sometimes down to the base of the trunk. The tree affords an excellent timber, much used for cabinet work, buildings etc. vulnerable to white ants, lemon yellow at first, it turns with age to very dark red, like mahogany, to which it is but little inferior. It is suited to moist or semi-dry locality up to 2000 ft or higher. In planting, the seed should be sown, first in baskets, bamboo pots, in plastic bags; seedlings from nursery beds will not bear transplanting properly. Deep holes should be dug and filled with rich soil, sow three seeds in the centre and remove the weaker seedings, leaving the shongest one. Growth Habit: The jackfruit tree is handsome and stately. In the tropics, it grows to an enormous size, like a large eastern oak. All parts contain a sticky, white latex. Foliage: The leaves are oblong, oval, or elliptic in form, 4 to 6 inches in length, leathery, glossy, and deep green in color. Juvenile leaves are lobed. Jackfruit can be grown on a variety of soil as long as they are well drained, but does best in deep alluvial soils of open texture. Planting on top of an old compost heap would be ideal. The tree needs the best drainage and cannot tolerate "wet feet". Location: The jackfruit tree should have a well-drained, frost-free location that is sunny and warm. The tree will not tolerate drought. Water frequently during warm months and warm periods in cooler months. Less water is necessary during colder weather. Fertilization: The jackfruit's requirements are not known, but frequent, weak solutions of all-purpose fertilizer will speed the plant's growth without causing burn. In the regions where it is commonly grown, it succeeds without much care from man, the sole necessity being abundant moisture. Although mature jackfruit trees will take several degrees of frost, it is prudent to provide young plants with overhead protection if possible and plant them on the south side of a wall or building. Small plants should be given complete protection with a covering on cold nights and even a light bulb if possible. Propagation:Propagation is usually by seeds, which can be kept no longer than a month before planting. Germination requires 3 to 8 weeks. The seedlings should be moved when no more than 4 leaves have appeared. A more advanced seedling, with its long and delicate tap root is very difficult to transplant successfully. Cutting-grown plants and grafted seedlings are possible. Air-layering is common in India. Little or no pruning is required other than to remove any dead branches from the interior of the tree, so that sufficient light is obtained for the developing fruit. Pests and diseases: A variety of pests and diseases afflict the jackfruit tree and fruit regions where it is commonly grown. In California the white fly is a minor pest. Harvest: Jackfruits mature 3 to 8 months from flowering. When mature, there is usually a change of fruit color from light green to yellow-brown. Spines, closely spaced, yield to moderate pressure, and there is a dull, hollow sound when the fruit is tapped. After ripening, they turn brown and deteriorate rather quickly. Cold storage trials indicate that ripe fruits can be kept for 3 to 6 weeks at 52° to 55° F and relative humidity of 85% to 95%. Immature fruit is boiled, fried, or roasted. Chunks are cooked in lightly salted water until tender and then served. The only handicap is copious gummy latex which accumulates on utensils and hands unless they are first rubbed with cooking oil. The seeds can also be boiled or roasted and eaten similar to chestnuts. Dried slices of unripe jackfruit are sold in the markets. The ripe bulbs, fermented and then distilled, produce a potent liquor.